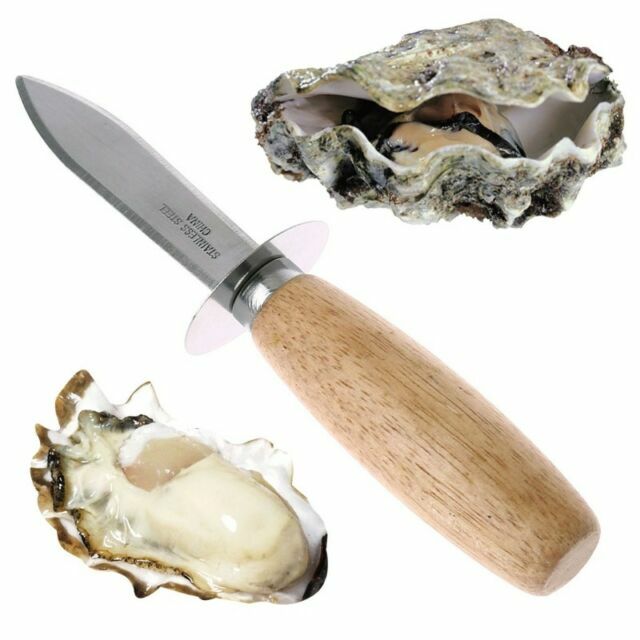 "This oyster knife can effectively shuck oysters, clams, shell fish and many other seafood. 1 Oyster Knife. 9cm thick-rounded wooden handle provides comfortable and firm grip. Stainless steel blade, never rust, easy to wash and durable to use."